It’s one of the most successful shows on TLC, and has only gotten more popular with each new season. But does My 600 Lb Life pay its cast members? And does the show pay for surgery, or relocation to the Houston area so the cast can be treated by Dr. Nowzaradan? We’ve learned about some of the show’s standard contract details, as well as a bit about how those details have changed from Season 1 to today. The short version: As is the case with so many reality TV shows — even mega-hits like WE tv’s Love After Lockup and VH1’s Love and Hip Hop series — the stars make far less money than you might expect. How much does My 600 Lb Life pay its cast members? The basic payment for a My 600 Lb Life cast member’s initial episode appears to be $1,500. That’s a flat appearance fee, sometimes referred to as a “talent fee,” and covers each episode’s roughly twelve-month shooting schedule. We’ve heard rumors that cast members get more money from Megalomedia, My 600 Lb Life‘s production company, by agreeing to participate in the show’s infamous bathing scenes; we’ve been unable to confirm those rumors. However, it does appear that the talent fee has gone up at some point in the past few years. One person affiliated with the show in its earlier seasons revealed that the appearance fee used to be $1,000. But, whether you’re an OG cast member or a newbie, you won’t be seeing any more money when your episode is re-run. 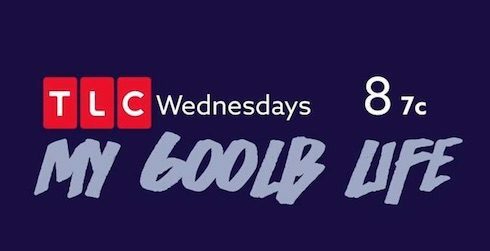 The appearance fee doesn’t include royalties — so, even if a cast member’s My 600 Lb Life debut airs several times a year, that cast member isn’t getting extra payments. Does My 600 Lb Life pay for the cast to move to Houston? One question we’re still trying to answer is what happens to the $2,500 stipend when a cast member lives close enough to Houston that they choose not to move. Though this doesn’t often happen, it’s been the case for several My 600 Lb Life cast members from Texas and Louisiana. Does My 600 Lb Life pay for surgery? How much does the show cover? Again, filming for one episode of My 600 Lb Life takes one year, so the show covers one year of Dr. Nowzaradan’s medical expenses. Assuming that the cast member qualifies for weight loss surgery during that year of filming, the cost of surgery is included. One expense that’s generally not included is skin removal surgery. For one thing, it’s technically classified as a cosmetic surgery, not a medical one. And, for another, qualifying for the procedure generally takes longer than a year, meaning it falls outside the parameters of a standard episode. Again, this seems to be a big reason why so many of the show’s more recent cast members turn to crowdfundraising after their episodes air. Season 4 cast member Chad Dean has had a skin removal-related GoFundMe up for almost two years now; Garrett Rogers from Season 7 is another example. How much does My 600 Lb Life pay for Where Are They Now? episodes? It looks like payment for follow-up episodes is about the same as it is for an introductory episode. As the show’s non-disclosure requirements are legendarily strict, the exact terms of the Where Are They Now? contracts remain murky. But our sources indicated that the same incentives — another year of medical expenses, along with a second appearance fee — are on the table when it comes to follow-up episodes. It sounds like the medical expenses are the bigger draw, which should come as no surprise. If a cast member had a successful first year, or is right on the cusp of a weight loss breakthrough, the difference between huge medical bills and no medical bills is often the difference between continued success and regression. My 600 Lb Life airs Wednesday nights at 8 on TLC. Breaking Amish mystery: Why did Rebecca lose all her teeth at 19? 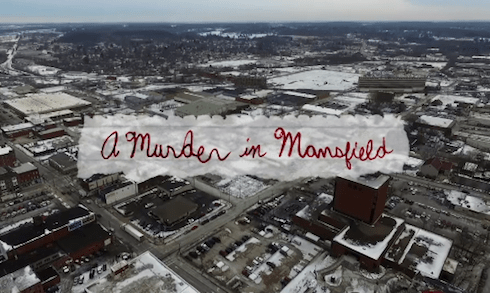 A MURDER IN MANSFIELD What happened to Collier Landry’s half-sister?